There are two types of vertigo that chiropractic care can correct. These are benign paroxysmal positional vertigo (BPPV) and cervicogenic vertigo. 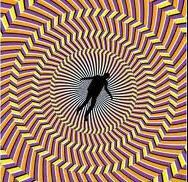 By far the most common type of vertigo is BPPV. Chiropractors are trained to differentiate between these types of vertigo using orthopaedic tests and to rule out other potential causes of dizziness (and refer if necessary).